Hull weight (approx.) 600 lbs. Draft outboard version (approx.) 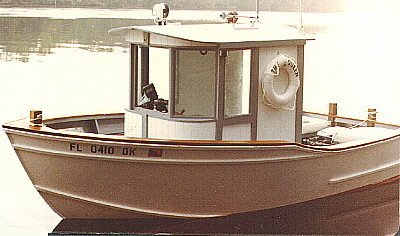 8"
Power: Single short-shaft outboard or inboard motor to 10 hp. Long shaft motor can be used if transom is modified.